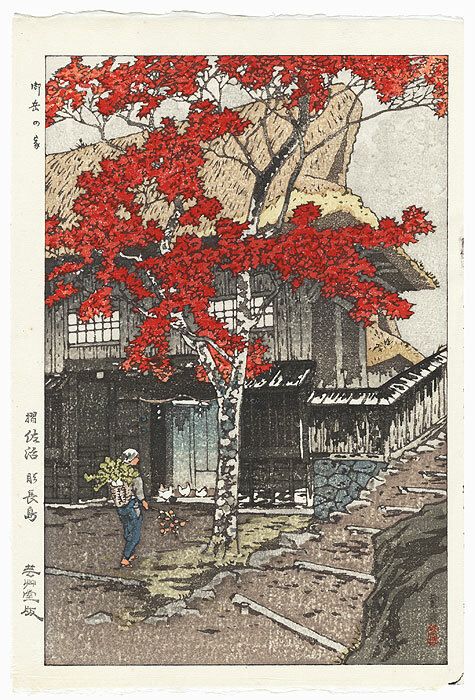 Comments - Attractive rural view of a house in Ontake in autumn, a maple tree covered with bright crimson leaves. 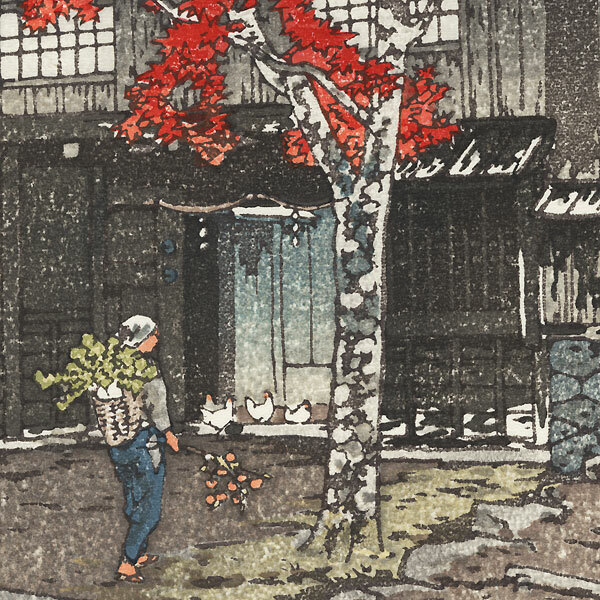 A farmwoman walks towards with home with a basket full of produce on her back, a few chickens in the doorway. Steps lead up a stony path at right. 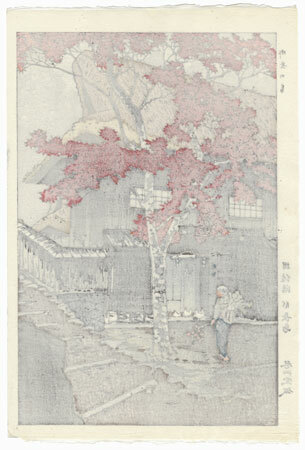 A striking design that would make a handsome framed display. The first time we've offered this subject.